I have a Google calendar that is now synced with the meetings calendar, but it will only show the current day and not the complete week. Is this because I am on the free version? 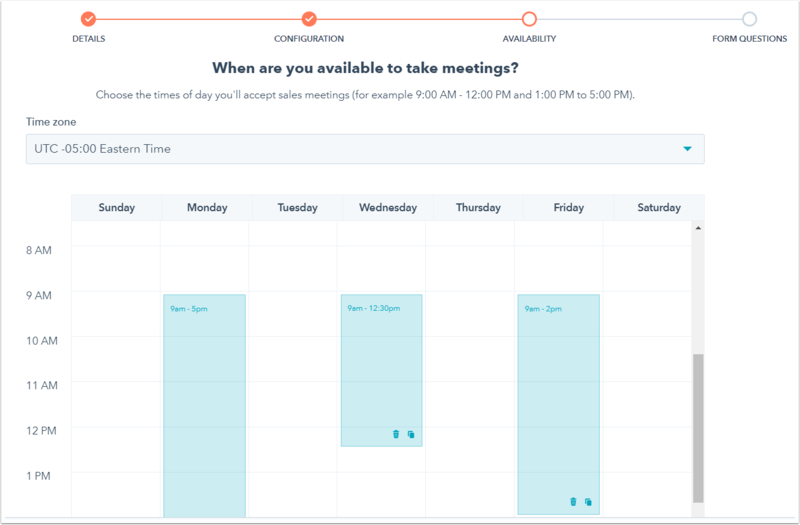 Hello @hhvaughan your meetings tool will automatically prevent clients from booking meetings during any events that are set to Show as Busy on your integrated calendars. Do you have any All Day events scheduled that are marked as 'Show as Busy' in your Google calendar? You can hover over a time and click the duplicate Copy icon to select what days of the week you want the available time to apply to, or click the delete trash can icon to delete it. Hey @hhvaughan could you please share a screenshot to clarify further? Thank you for the response, and below is the URL to the calendar. Now it appears to show one day in the next week, but still no more than one day per week. My google calendar is new so there are no dates scheduled that would cause to block out the other days on the HubSpot calendar. I found the issue as I had not assigned my availability on the Hubspot meeting link.